Your trusted kids orthodontist, Dr. Kristine S. West, and the entire team at West Orthodontics understand that the foundation for a great smile begins during childhood. That’s why we’re proud to offer a variety of kids braces that will help set your child on the path toward a lifetime of healthy smiles. We recommend getting a head start on a beautiful smile by having your child visit his or her DeWitt and Lansing, MI kids orthodontist at an early age. According to the American Association of Orthodontists, a child’s first visit to the orthodontist should be at the age of seven. We agree and encourage parents to have their children visit their DeWitt and Lansing, MI kids orthodontist at this age. The reason for this is because this age is typically when the adult molars emerge, giving your orthodontist the first chance to examine a child’s front-to-back and side-to-side teeth relationships and check for any orthodontic problems. Having said that, an early screening doesn’t necessarily mean early treatment with kids braces as well. Even if your child has an orthodontic problem, in many instances, we’ll simply monitor your child’s growth and development and just wait until we determine when the most opportune time to begin treatment is. Doing this will allow your child to have the greatest chance for achieving optimal results during orthodontic treatment. 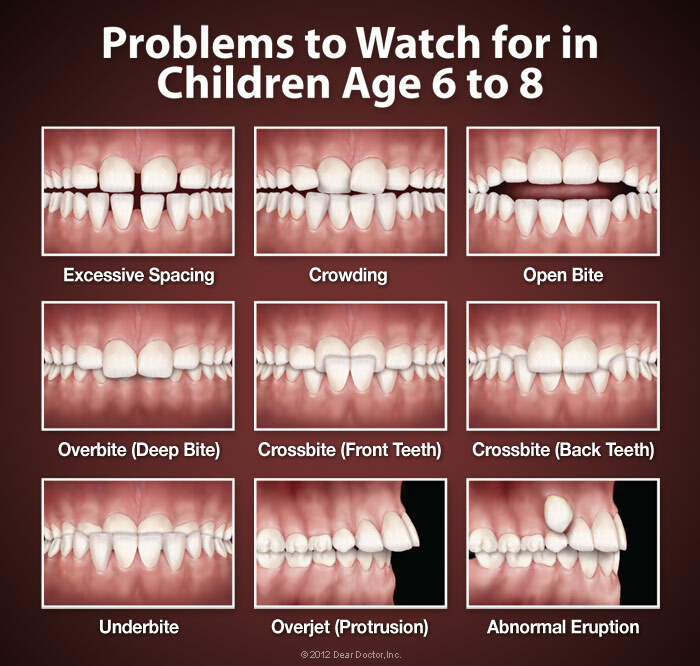 While treatment for most common orthodontic problems will usually start when all of the baby teeth are gone (typically around the ages of nine to 14), there are some conditions that are actually much easier to treat when they’re taken care of at an earlier age. This is because a child’s natural growth processes have hit their stride during this time. Some of these orthodontic conditions that are great choices for early treatment include the following. Severe Crossbites – A crossbite is where the upper teeth close inside the lower teeth. At West Orthodontics, we can treat this condition effectively with a device that’s known as a palatal expander. This device will gradually (and painlessly) widen the upper jaw. Severe Crowding – Crowding is when the patient’s jaws are too small to fit all of his or her teeth. To help the permanent teeth come in properly, we’ll either widen the patient’s jaw with a palatal expander or perform a tooth extraction. Severe Underbites – Underbites are caused when the lower jaw grows larger than the upper jaw, which can result in bite problems. Orthodontic appliances, such as kids braces and headgear, are the best options for treating these problems. Protruding Teeth – Teeth that protrude or stick out (mainly front teeth) are much more prone to getting chipped. 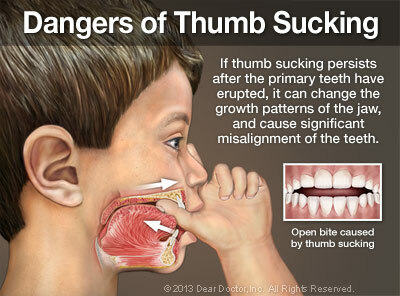 This orthodontic condition can even create image problems for some children as well. Braces for kids and headgear are preferred to correct this condition. You may not have realized it, but orthodontic treatment can actually also treat bad oral habits as well. Some of these bad habits can be detrimental to a child’s oral health and hamper the development of his or her teeth, jaws, and mouth. Thumb Sucking – This is a natural reflex that most toddlers and babies will have. 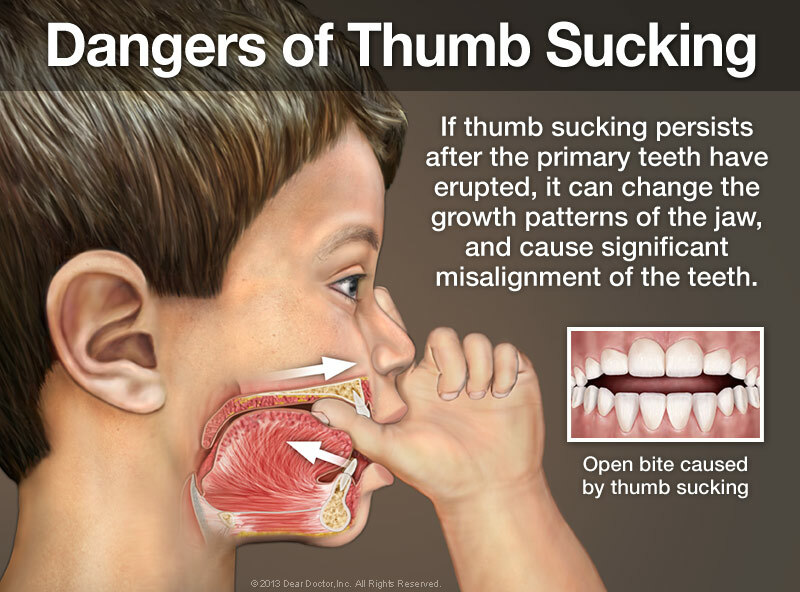 This habit will typically go away on its own between the ages of two to four, but if the habit persists much longer afterward, the pushing of the thumb against the front teeth can make them shift and cause the jaws to change shape. This condition is what’s known as an open bite and it can impair speech. Tongue Thrusting – This is a behavioral pattern in which the tongue protrudes through the anterior incisors. This habit will most often occur during speech or swallowing. If left untreated, it can also lead to an open bite. Mouth Breathing – This is an abnormal breathing pattern where a person leaves his or her mouth open while breathing and air passes straight into the lungs. Mouth breathing can cause both the lower and the upper jaw to grow abnormally. Contact Your DeWitt and Lansing, MI Braces for Kids Provider! If you have any further questions about braces for kids or early treatment, please don’t hesitate to contact us. If you’d like to schedule an appointment with your DeWitt and Lansing, MI kids orthodontist, we encourage you to fill out our online appointment request form. We can’t wait to see you and help your child on the path to a lifetime of healthy smiles!